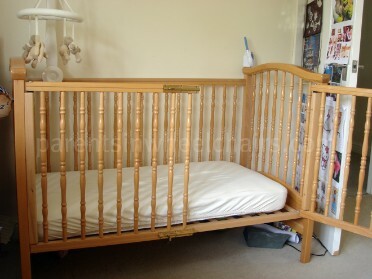 This is our cot that we used for Sarah. Adjusting the front panel to two hinged opening gates meant that I was able to manage lifting Sarah in and out of the cot independently in my wheelchair. Two bolts enabled us to make the cot secure for Sarah. Please see the video below for a full explanation!